Pomona Hall is one of the few American Revolution related historic sites located in Camden, NJ. I stumbled across this building last weekend while driving through the city. Later research revealed that the home was built in 1726 by the prominent Cooper family of Camden. The home was used by Hessian troops following their defeat at the Battle of Red Bank (October 22, 1777). Today, Pomona Hall is located on the grounds of the Camden County Historical Society headquarters. "Pomona Hall is a notable example of an eighteenth-century Georgian residence. 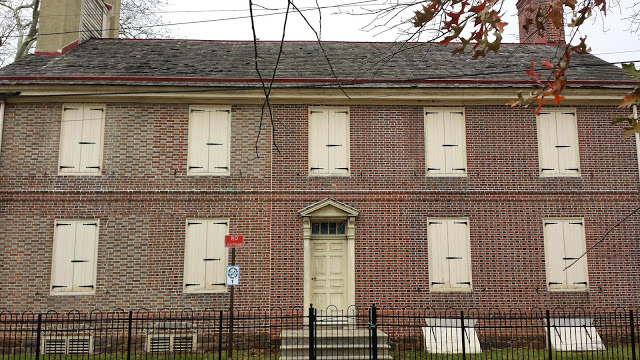 One of the principle historic sites in Camden County, it contains fine interior detailing and architectural elements. 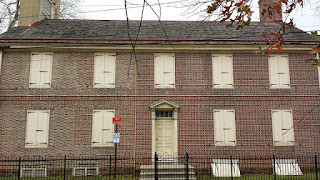 Pomona Hall is associated with the Cooper family, who were early Camden settlers. The building has a high degree of architectural integrity. The City of Camden acquired the house in 1915 and in 1924 the Camden County Historical Society began leasing the property from the city. 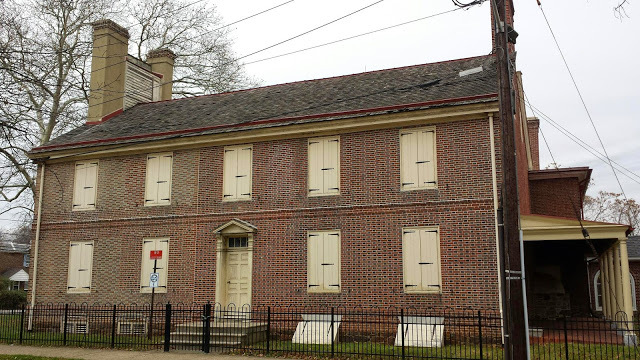 "Following the Battle of Red Bank, defeated Hessian troops used this house as a regrouping point before returning to the safety of Philadelphia. 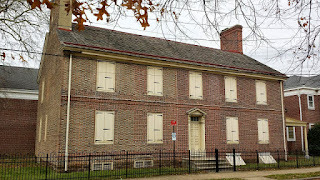 Built in 1726, with a 1788 addition, the Georgian brick building, is operated as a museum by the Camden County Historical Society, and furnished with 18th and 19th century collections. Public tours are offered Thursday and Sunday."